To write or not to write: that is the question. It was interesting to observe that the programming shown on one of the largest U.S. television networks and the content highlighted in one of America’s premier print news publications both referenced the historical importance of writing and questioned the continued evolution of writing in today’s world. No doubt, high technology has impacted modern writing. For example, how many children do you know in recent years who have learned to punch the keys on a toy laptop or real laptop before or simultaneous to grabbing a crayon and scribbling? 1. Do you actively write as part of your day-to-day personal routine? 2. Are you required by the nature of your job to write? 3. Do you currently maintain or have you ever maintained a hand-written personal journal or diary? 4. When was the last time that you hand-wrote a letter to a family member of friend? 5. When was the last time that you hand-wrote a thank you note to anyone? 6. When was the last time you wrote a story of fiction or non-fiction by hand? 7. When was the last time that you hand-wrote an essay or a speech? 8. Have you ever hand-written poetry or song lyrics? 9. 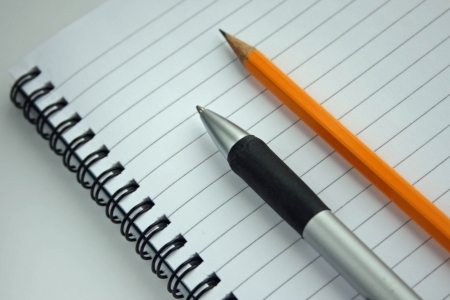 What is the writing utensil that you use the most – a pencil, a pen or a keyboard? 10. Does traditional handwriting, or the lack thereof, make a significant difference in your writing ability? Regardless of whether traditional handwriting is dying, the proliferation of writing continues. Millions of bloggers exist today, and millions of individuals are expressing themselves via mobile texting, Facebook, Twitter and other digital channels. If you are among those who are engaging in less traditional handwriting and more digital content creation today, consider your future. You may even want to read the book, “Your Digital Afterlife: When Facebook, Flickr and Twitter Are Your Estate, What’s Your Legacy?” It’s one book that’s on my reading list.